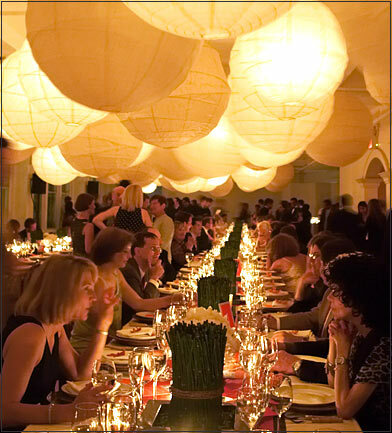 …that I love inspiration boards? 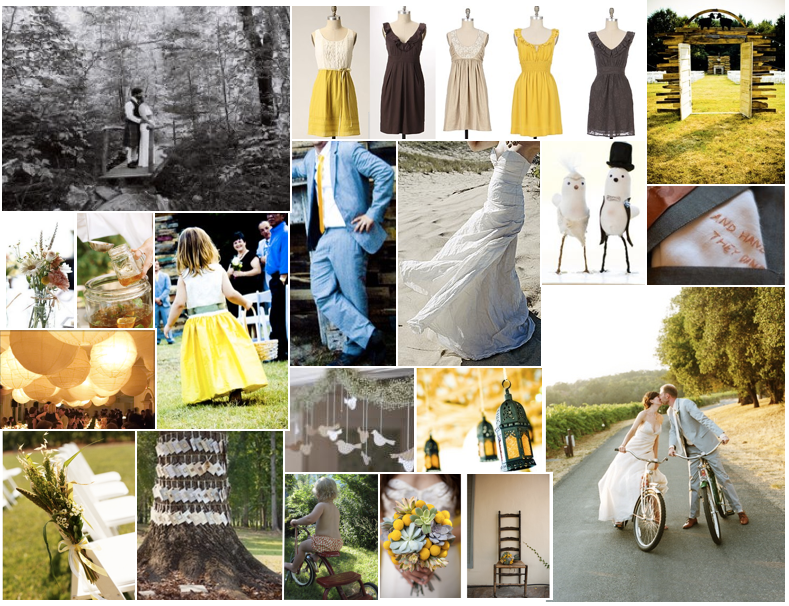 This was my first attempt at an inspiration board for our “green” wedding. It was actually the first bit of planning that I did for the wedding. I think I started it about 2 days after Mr. Veggie proposed. He scoffed. Image Credits: Top row (l-r): Bridge, Dresses, Ceremony. Middle Row (l-r): Centerpieces (a la Mrs. Cowboyboot), Tea, Lanterns, Flowergirl, Groom, Bride, Cake Topper, Hankie. Bottom Row (l-r): Chair, Card Tree, Personal Photo, Birds, Lanterns, Bouquet, Bikes. I was going for a late summery-rustic-relaxed vibe. We’ll be getting married at a summer camp, but at the time I just knew that we would be outdoors. Colors that have been popping up all over my life lately are saffron/grey/brown. They seem like perfect end of summer colors. The little one on the trike is my niece Annie. I thought she might have fun riding down the aisle, plus since we are bikers (of the non-motorized variety) it would incorporate biking into our wedding in a interesting way. 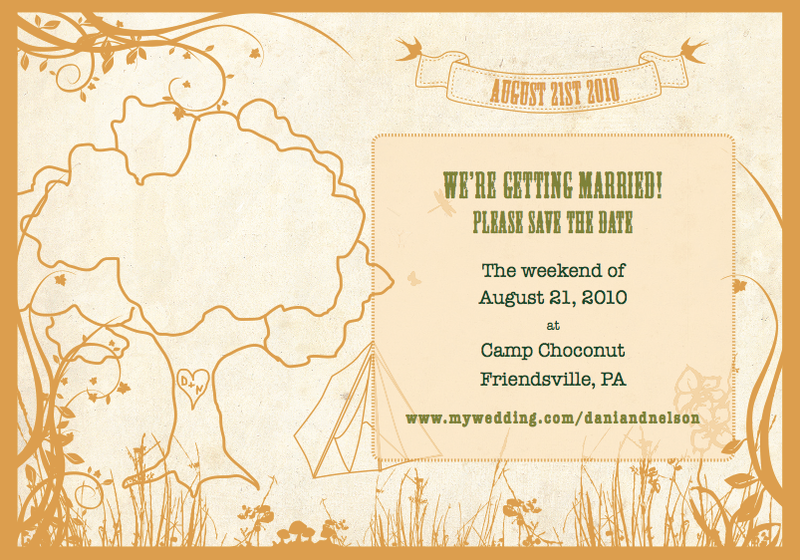 That was pretty much my only original idea, the rest of these gems were swiped from wedding websites. Since then some of my ideas have changed a bit. We’ve firmed up a venue and I think I bought a dress (YAY!). Seems like its time to update this board. I think I’ll work on inspiration 2.0 in the next few weeks. Keep your eyes peeled. Oh yeah, the reason why I haven’t posted this week is because I have been having a melt-down. Well, technically several meltdowns. One via Skype with little sister, one via phone with Nelson, and several on my own. These lapses in sanity have been prompted by an email from our wedding venue letting us know that our date was no longer available. 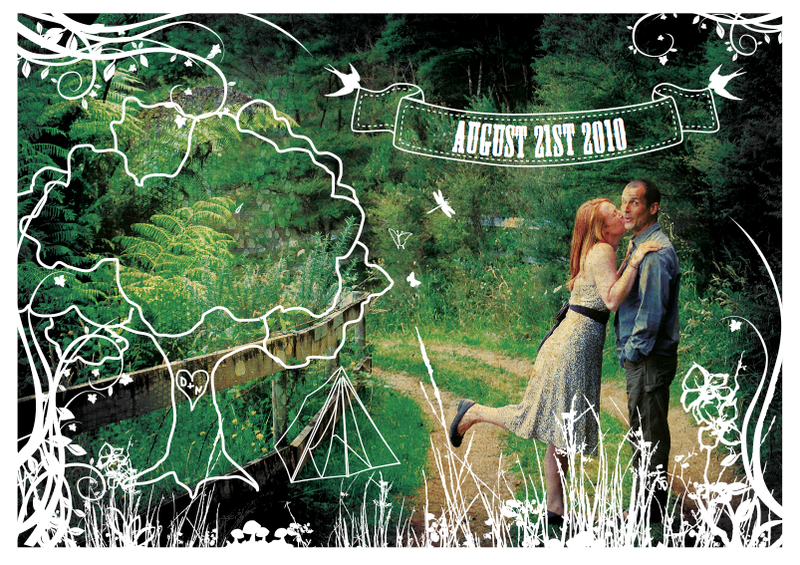 This post was supposed to be about our amazing Save-The-Dates, created by the incredibly talented Shari Amos. It was supposed to be about how I was so excited to send them out that I couldn’t sleep the night before. It was supposed to be about doing our first wedding project and having it come out perfectly and just how we (I) imnagined. It was supposed to be about getting emails from people telling us what they were going to grow for our big day. But its not. What will happen? Where will our wedding be? When will our wedding be? Is it all ruined (like I was feeling yesterday)? Or is it just clearing a path for a better thing to come along (how I hope to be feeling tommorrow)? Stay tuned. Only time will tell. Wrong date, wrong venue, but they were just so very pretty.